Five days after his inauguration, President Donald Trump signed Executive Order 13768 entitled "Enhancing Public Safety in the Interior of the United States". In this order, he required the government to release certain documents detailing the effects of illegal immigration. Subsequently, the Department of Homeland Security and the Department of Justice began releasing the quarterly Alien Incarceration Report. Both the FY 2017 full report and the FY 2018 Quarter 1 report can be found at the Center's Immigration Data Portal. These reports present data on the number of incarcerated aliens in the federal penal system. These criminal aliens are classified by a number of categories, including those in custody of the U.S. Marshal's Service and those who are under the custody of the Federal Bureau of Prisons. They are sorted further into four categories: those who have received final orders of removal, those under investigation for removal, those under adjudication, and those who have been granted relief. The most recent report includes helpful insights into the current criminal alien population within two separate entities — the Bureau of Prisons and the U.S. Marshal's Service. These two entities make up the total number of known or suspected aliens in federal custody. At the end of the first quarter of FY 2018, there were 57,820 known or suspected aliens in federal custody. Within the report itself, the numbers are analyzed respective to the holding entity (BOP or USMS). 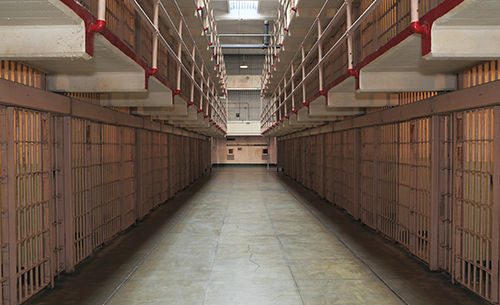 The Bureau of Prisons is responsible for the custody and care of federal inmates. As of December 2017, BOP has custody of 38,132 known or suspected aliens. This represents approximately 21 percent of the total BOP population — meaning that one in five BOP inmates is an alien. But most of the aliens are incarcerated because of other federal crimes they committed. According to the report, 46 percent of these aliens committed drug trafficking or other drug-related offenses, which was the largest crime category committed by aliens in BOP custody. The remaining 25 percent committed a variety of other criminal offenses, including fraud, weapons charges, racketeering, and sexual crimes. Clearly, the large population of aliens in BOP custody cannot simply be explained away by immigration crimes. The U.S. Marshals Service is charged with the housing and care of federal pretrial detainees. Interestingly, the USMS was the first federal law enforcement agency in the United States. At the end of December 2017, USMS had 53,141 total individuals in their custody. Of those, 19,688 (37 percent) were identified by Immigration and Customs Enforcement (ICE) as confirmed aliens. Unlike BOP, the majority of aliens in USMS custody were held for immigration offenses — USMS held 10,971 aliens (56 percent) for these crimes. Another 4,665 aliens (24 percent) were held for crimes related to drug trafficking. Sixty-eight percent (13,449) of the aliens were apprehended in the Southwest region of the United States. The Department of Justice has for years tried to tally the number of aliens in state and local jails. The inmates in these facilities make up 90 percent of the total incarcerated population. The Bureau of Justice Statistics (BJS) collects data from local facilities using the Annual Survey of Jails, but this data cannot accurately estimate the total number of aliens in local custody at this time. The DHS Office of Immigration Statistics is "evaluating potential strategies to estimate the immigration status of individuals in state and local custody based on information available in the Census Bureau's American Community Survey." Whether this will produce reliable estimates of aliens in state and local prisons and jails remains to be seen. Some states have released information about the alien population within their total inmate counts. The FY 2018 Quarter 1 Alien Incarceration Report included information released by the Texas Department of Public Safety regarding aliens in the state's jails. The report notes that this data does not include all aliens in the Texas criminal justice system, but only those who have had prior interaction with DHS. The data from Texas sheds light on the danger posed by criminal aliens to local communities. More states should follow Texas's example and release information such as this to allow policymakers and researchers access to this critical data.